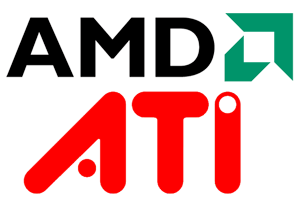 AMD has released the Catalyst 13.1 driver for Linux systems recently bringing some improvements and bug fixes. This driver is based on the fglrx release and it improves support for Ubuntu 12.10/12.04. In this tutorial, we will as usual help you install the AMD Catalyst 13.1 driver under Ubuntu/Linux Mint systems. This section provides information on resolved known issues in this release of the AMD Catalyst Linux software suite. The following section provides a summary of open issues that may be experienced with the AMD Catalyst Linux software suite. Finally, reboot your system to get this driver working. 11 comments to ''Install AMD ATI Drivers in Ubuntu 13.04/12.10/12.04/11.10 or Linux Mint"
Yep, doesn't work. Such a deb installer doesn't exists. sudo apt-get install fglrx-installer does NOT work. Please update your posting. sudo apt-get install fglrx works but installs version 12.10.17-130226a-153832E-ATI not 13.1. Bluetooth Mouse is still unresponsive/laggy after installing this new version. 7th place I visit to try to find a recipe for ATi/amd drivers under linux, 7th place that fails. How can people still praise this system when you can't even do something as basic as installing driver without having an engineering degree?